The real estate experts at J. Ettenson Realty are happy to offer the best selection of real estate options in Dutchess County. We view it as our duty to make buying or selling real estate in Dutchess County as easy as possible. Our team is willing to put in the hard work necessary to offer you the best real estate options in all of Dutchess County. The expert brokers at J. Ettenson Realty are happy to be your advocate and will use their knowledge of the market and area to help guide you through the real estate market. No matter the shape or size of your dream home, J. Ettenson Realty will help you find your best real estate option in Dutchess County. For more information on the real estate option available in Dutchess County, please contact J. Ettenson Realty today by calling 845-876-7355. You can also get in touch with one of our knowledgeable representatives by simply filling out the online request form on this page. J. Ettenson Realty is proud to offer our clients top quality service and the best real estate in all of Dutchess County. We offer both residential and commercial real estate options to our clients in Dutchess County. Our real estate brokers are from the Dutchess County area and can provide unique insight into the market and its offerings. 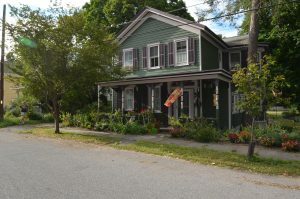 We have a great selection of real estate in Dutchess County with properties in various shapes and sizes. J. Ettenson Realty has properties all over the Dutchess County area with properties in Rhinebeck, Red Hook, Livingston and more. At J. Ettenson Realty, we take pride in having the reputation as the best resource for real estate in Dutchess County. Our brokers will be your advocate throughout the process real estate buying process and can help answer any questions that you might have. We also make sure that you work with the same real estate broker throughout the process so you receive a personalized experience. To learn more about the real estate available in Dutchess County, please call J. Ettenson Realty today at 845-876-7355. You may also reach out to one of our professional brokers with any questions that you have by simply filling out the online request form on this page.